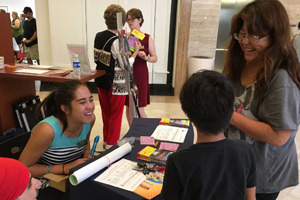 Volunteers enthusiastically advance the mission of Pacific Symphony through the contributions of their time, talent, resources and ambassadorship. Volunteers are the window to the community and are a reflection of the diversity of interests and backgrounds that are found in Orange County. 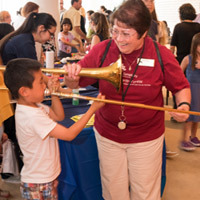 Pacific Symphony has a number of volunteer support groups whose members generously contribute their time and talents to support an extensive schedule of concerts, community outreach activities and education programs that serve over 250,000 children and adults each year. 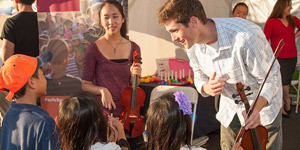 As a Pacific Symphony volunteer, you have the opportunity to work and learn in a variety of different behind-the-scenes environments, from working with students in music education programs in the schools to raising hundreds of thousands of dollars at special benefit events. You also have the chance to meet other people along the way who share your love of symphonic music and your desire to make a difference in Orange County's cultural life. 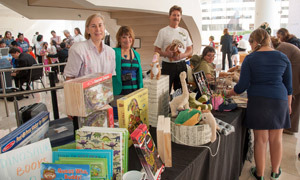 Our valued volunteers are critical in our continued efforts to achieve and maintain the mission of Pacific Symphony. We will offer you meaningful work that truly matters to the mission and vision of Pacific Symphony. We will give you the opportunity to expand your awareness and appreciation of symphonic music. We will give you assignments that allow you to grow in organizational and leadership skills. We will provide forums in which you can interact with other people who are passionate about outstanding symphonic music. We will thank you frequently and profusely for your contributions, and we will mean it! We will be happy to tell you about our volunteer opportunities. We are now accepting applications for Pacific Symphony Internship positions. Interns are welcome to work with staff in many areas of the Symphony, such as Business Administration, Education, Events Management, Finance, Human Resources, IT/Tech, Marketing, Social Media, Volunteer Services and more. Please submit a resume and complete the online application. 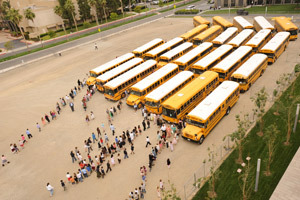 The resume should be sent to volunteerservices@PacificSymphony.org. For questions, please call Abby Edmunds at (714) 876-2353.